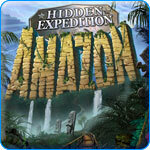 Hidden Expedition : Amazon Game - Download and Play Free Version! A Lost Professor, a Legendary Temple, an Amazing Quest! Professor Mandible has gone missing! It's up to you to travel to the Amazon Rainforest and find the hidden Beetle Temple to rescue him. Travel to many fun places including New York City and Casablanca on your quest to save the professor. With nothing to guide you but a tattered map and pieces of the professor's journal, can you discover the clues to find the Beetle Temple? Search for hidden objects in busy, beautiful scenes. Some objects will be added to your inventory to be used later, such as using a scissors from your inventory on a ripped chair to find a key. There's no time limit, but the objects are well-hidden, like a pea pod carefully placed on a green lampshade. 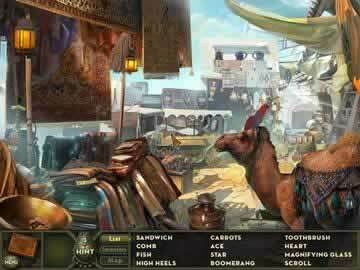 Between levels, play mini games such as hanging monkeys with different weights from vines to match symbols, or puzzling out a song based on symbols on King Tut. 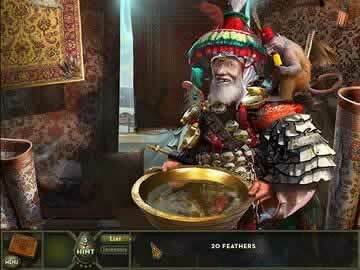 Explore beautiful cities, temples and ruins in this unforgettable quest without ever leaving your computer. Enjoy hours of entertainment as you relax to an orchestral musical score and feast your eyes on the wonderful graphics while testing your puzzle-solving skills against the Amazon. Adventurers, this is the quest for you! Can you find the hidden Beetle Temple? Get a nice look at some of the vibrant scenes to be found in this hidden object title.